Details about the time Robert "Beto" O’Rourke, the Democrat Senate candidate in Texas, was driving drunk, caused an accident, and tried to flee the scene. That card. The DWI was common knowledge already but his alleged attempt to flee the scene was not. This would be a hugely damaging hit on the left’s new heartthrob if not for the fact that O’Rourke’s opponent happens to be the Zodiac whose father conspired to assassinate JFK. Seriously, though, you know how Beto is forever being compared to the Kennedys? Turns out they’re more alike than anyone knew. A Texas Department of Public Safety report on the incident was based on a motorist’s description of O’Rourke’s dark-colored Volvo passing him quickly about 3 a.m. on I-10. The Anthony Police Department and DPS reports differ as to whether O’Rourke was heading east or west on the interstate, but both agree that he struck a truck going in the same direction and crossed a grassy median into the opposite lanes. Police said O’Rourke then attempted to leave the scene but was stopped by the same motorist he had just passed. The unidentified motorist “then turned on his overhead lights to warn oncoming traffic and to try to get the defendant (O’Rourke) to stop,” the report says. 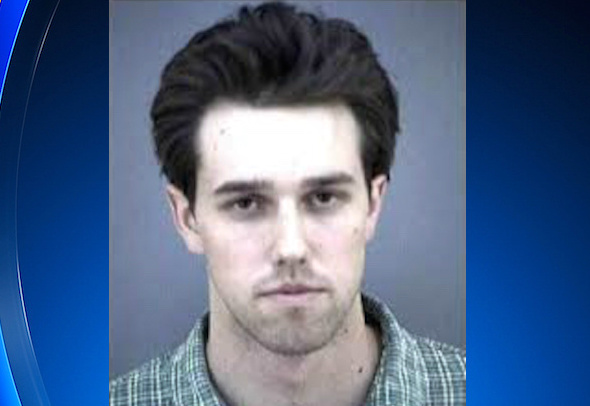 The DPS report described O’Rourke as having “glossy” eyes, slurred speech, smelling of liquor, and almost falling to the ground as he got out of his car. He told the NYT recently that he has no desire to be president, but that’s what they all say when they’re trying to climb the ladder to statewide office. If it doesn’t work out in Texas, he can always move to Massachusetts, start drunk-driving again, and be a senator there for the next 75 years. They called me and I told them I'm voting for Beto. I'm not. Can't wait to counter loochy's vote. Rents VFW hall for event, asks that the flag be removed. All you need to know. It started around 2010 Obama should get some credit who passes bills though? It was Republicans who held the majority along with Tea Parties whom MSNBC said would cause a global depression. Forward to 2016 election night once Trump won MSNBC ran a ticker of the markets. Republicans should swallow their pride and give Obama a little credit HOWEVER if we are playing the bipartisan game what does MSNBC owe the people of this nation? We net zero. That's fine with me. I wouldn't be upset with Cruz losing...just upset with Beto winning. It's sad if Cruz can't be defeated because a LOT of people dislike Cruz. O'Rourke Campaign asks VFW to remove American flags before a town hall event. Check it out. Beyond ridiculous. How anyone can vote for this socialist pro-illegal anti-American is beyond me. So ... the VFW declined the flag removal concept, correct? Yes. Navasota, TX I think it was. A rarity, but some things remain kinda normal. The idea that someone would ask the VFW to remove American flags is ... well ... insane to me. Yeah, Cruz only won by 16 in 2012. Sad if he somehow gets a win in this state. Insane indeed. When I was a kid my grandpa used to take me with him to the VFW some Saturdays. I had to sit quietly but was allowed to sit at the bar, watch football games, sip a soda. I’d run their empty bottles to the bar and bring them fresh ones. But what I remember most was just listening to them talk. Never about their time in WWII unless someone had died. Just about every day stuff but in a way I never heard grandpa talk anywhere else. Looking back on it they were amazing men in their regular guy way. I picture someone asking them not to fly the flag. They’d have likely asked them to repeat the question not believing they could have heard right. Wouldn’t have been a big deal. They’d have given that look and head shake that let you know you just did a really dumb thing. FWIW I’m sure they’d have been disgusted with both political parties today but would have taken it in stride in that way that only men like them could have of knowing things could be a lot worse.